Our trading and asset management platform guides the purchase and sales process from beginning to end. 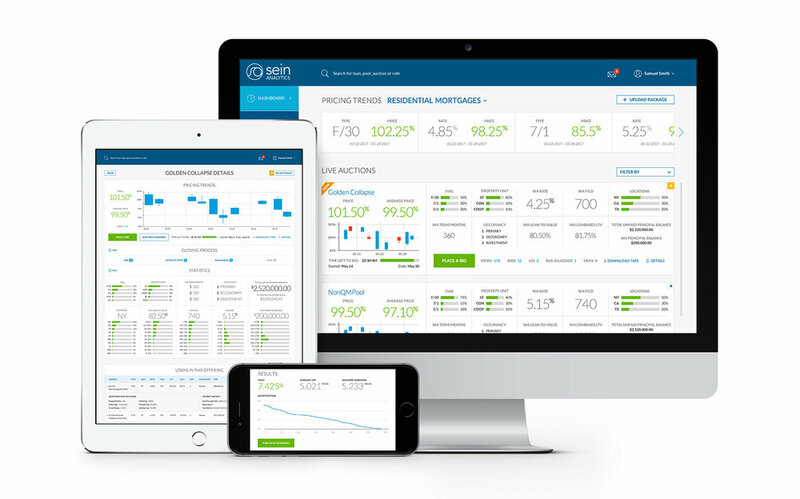 SEIN PROVIDES POWERFUL FINANCIAL ANALYTICS TOOLS TO LOCAL AND COMMUNITY BANKS, ENABLING THEM TO USE CAPITAL MORE EFFICIENTLY. Sein was founded by finance veterans with 20+ years of experience each and skills in data science, development and design. Monitor pricing data on various products in real-time along with viewing a quick summary of loan packages. Buyers can review detailed loan-level data, key data distributions and run yield analysis for pricing scenarios. Easily upload and manage loan packages.